Try our free e-commerce website templates for your online store, we offer you easy access to more than 100 premium & professional ecommerce themes which are mobile responsive, have customizable features and are easy to use. I get comments on how clean, professional and user friendly my website is. BuildaBazaar team definitely did a fantastic job. It was superfun to create a website with BuildaBazaar team. Just after 2 days of launch of website I am getting orders. BuildaBazaar saved my blog. Thank you to the team to all the flexibility I am getting. The most powerful and user friendly platform to develop a website. Truly impressed by the services of BuildaBazaar. The BuildaBazaar team designed a unique website for my bakery shop. It was really easy to set up a website with them. BuildaBazaar team did a great job by making website building this easy. The website they build for me is packed with features. It’s almost 2 years I have been using BuildaBazaar platform for my website. They provide me amazing service. BuildaBazaar is the best website building platform that exists, they help me renewing my website with so many new and wonderful updates. Just creating an eCommerce store once you step into a wide ocean of competitors shall not be enough to make a dent. It is imperative you also make sure your store happens to be aesthetically pleasing to the eye. After all ‘first impression is the last impression’. At ThemeJungle theme store we believe in more than just creating a store for you, we wish to create your brand. To achieve this goal we have made sure your eCommerce website looks spectacular with our premium eCommerce website themes. You can choose from thousands of amazing templates for your eCommerce website. These options are not only stunning to look at but also make sure your website is incredibly easy to manoeuvre, so your customers can find what they are looking in the blink of an eye. 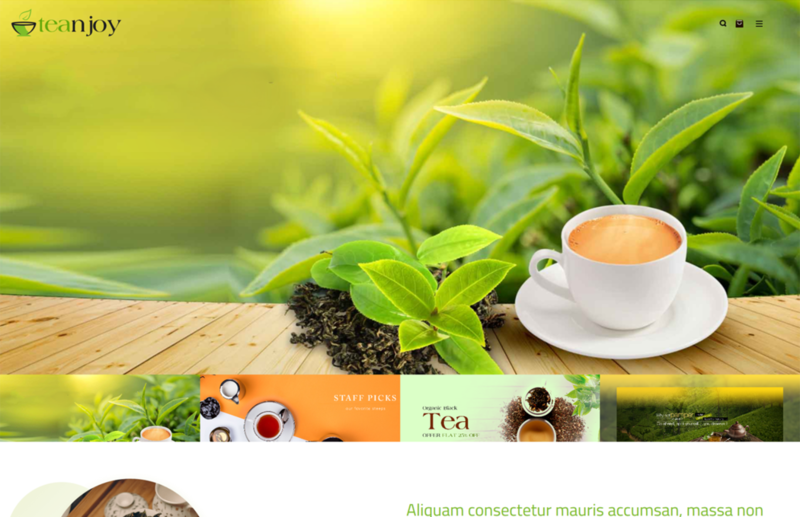 Theme Jungle is India's most trusted theme store for eCommerce templates & themes online. You have myriad templates to choose from for your unique store. There are innumerable eCommerce web templates for all domains of business be it a music store, a fitness or sports store, a grocery store, a bags & wallets store, a mobile store or any and all other kinds of online stores under the sun.Whence you create your eCommerce store with BuildaBazaar you get access to all the incredible features offered by ThemeJungle which go hand in hand with an online store’s multi-functionality. There is a multitude of features and services offered by ThemeJungle like logo design, Android app, SSL certificate, domain name, adword banner, social media pages and much more to make sure that your business outranks all of your competitors. When opting for ThemeJungle website templates, you automatically get an access to many other high-quality web development features. Why are ThemeJungle templates so amazing? There can be countless answers listed to this question with the most prominent being you get great interfaces. Some of the most popular items in our eCommerce theme collection are sleek, beautifully designed and intuitive interfaces for your eCommerce website. Then there is the option of multiple layouts and styles. Most templates come in different versions, so you don’t have to worry that your site may look “too standard”. One template may have over 10 different homepage styles, loads of header/footer versions, endless colour skin options, multiple form layouts and so on. You can combine these together to create something that fits your needs and is also make your website beautifully unique. The icing on the cake to all this is that all these options for your eCommerce website are completely free after you create an online store with BuildaBazaar. BuildaBazaar & ThemeJungle together serve as more than just a website builder platform, they provide an end to end eCommerce solution with all the features you require to create an online store, run & grow your online business. Our unique services include payment gateway integration, customised eCommerce store with responsive designs, placement of order, payment and delivery management among many others. BuildaBazaar & ThemeJungle have created & curated online stores for Hidesign, Prestige, Crossword, Amul, Fortune and many other distinguished brands using its eCommerce platform and online theme store.